What good is an electrical plug that isn’t connected to a power outlet? Though it may have the potential to power a television or recharge your phone, that power lies dormant until your device, equipment or appliance gets plugged in. If we’re showing up at work, but not truly engaging with the team or our organization as a whole, it’s doubtful there’s a spark. If we aren’t connecting with the broader community or professionals in our industry through networking, volunteering and the like, we might as well be the plug at the end of a cord wrapped around the base of a blender. We may have a lot of potential but it doesn’t matter, because we’re letting our talents and passion collect dust on the shelf. When we’re not “plugged in” to other groups or individuals, the problem resides not only with others not knowing about us, but we can feel very isolated. We are not engaged with a broader cause or purpose, and we miss out on the joy and gratification that comes with serving and forming bonds with others. Don’t confuse merely joining groups, getting your name on a committee list or attending events for the sake of “belonging” as being “plugged in.” Get genuinely connected to other networks, circles and individuals to make and feel the difference. We are not simply passively sending in a check or being present at meetings. We are actively engaged and really participating. Just as electricity flows through an electrical conduit once connected, we, too, can be conduits when we are “plugged in.” We become greater than ourselves, and may even inspire others to connect and do great things. Whether in serving your profession or volunteer leadership in your community, the more you give, the more you are able to receive. It all comes down to understanding a vision bigger than we are, and doing something about it. 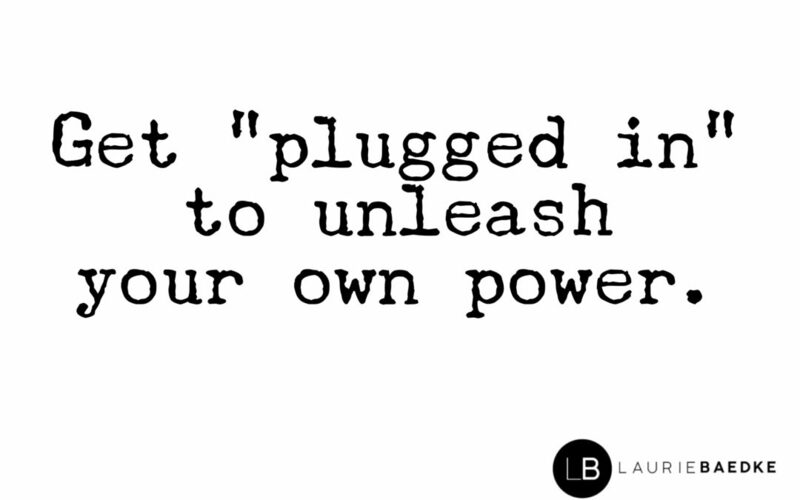 I challenge you to harness the power that comes with doing as we might do with a cable or device – plug in to spark action.